A former head of Turkey’s Supreme Board of Judges and Prosecutors, Ahmet Hamsici, has stated that the Turkish judiciary had an “unspoken pact” with followers of the Turkish Islamist cleric Fethullah Gülen, which was broken when the Gülenists staged the July 2016 coup attempt, the Turkish news site Haber7 reported on Monday. 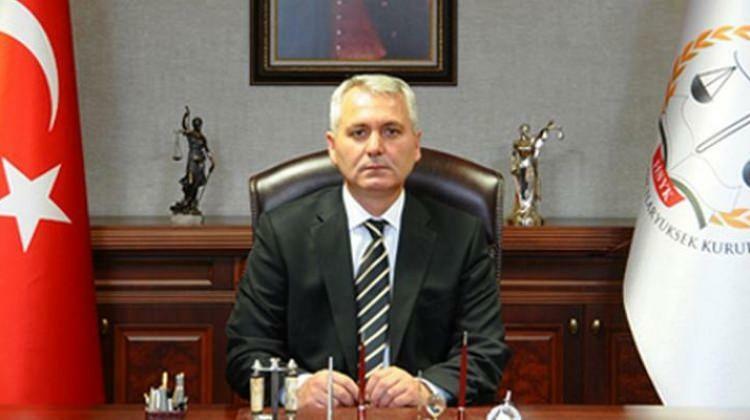 Hamsici was arrested shortly after the coup attempt, and was released pending trial after confessing that Gülen’s organisation had a hold over the judiciary that allowed them to convict hundreds of their opponents, often based on forged evidence. Thousands of personnel in the judiciary and security services have been purged, with many of them facing trial on terrorism charges, since the failed coup attempt. "Kendimi tecavüze uÄramÄ±Å hissettiÄim için..."
Eski HSYK BaÅkanvekili Ahmet Hamsici, "Bizimle cemaat yöneticileri arasÄ±ndaki gizli akitte 'darbe yapÄ±lacaÄÄ±' yoktu. Bu akdi onlar bozdu. Ben kendimi kandÄ±rÄ±lmÄ±Å, hatta tecavüze uÄramÄ±Å olduÄumu hissettiÄim için itirafçÄ± oldum." dedi.